Debating has and will always be an intrinsic part of management life; but it is also one of the neglected aspects of the B-school experience. DebSoc at IIM Indore was started primarily to bring people having passion for debating together with those who seek benefits from enhanced debating skills. 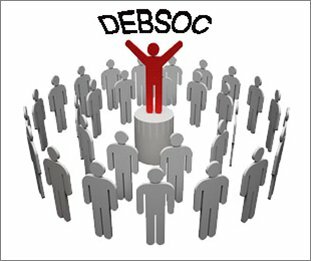 The primary aim of the DebSoc is to stimulate people to take different perspectives on any topic and express it effectively to an audience thereby helping them to improve their speaking skills in professional life as well as personal life. But more importantly, it is to make public speaking an enjoyable pursuit for many people who are apprehensive about the same. In order to achieve these objectives DebSoc has a range of activities lined up throughout the year. In previous years, DebSoc has been involved in several activities ranging from basic workshops for the incoming batch where participants are given individualized feedback on their speaking skills to fun-filled events like ‘Raconteur’ which is a two member JAMming session with a twist. Moreover, events like inter-section and inter-batch debates have often brought out the best from both the batches. On a more serious note, DebSoc is also involved in formal parliamentary debates and has been on the forefront in officially sending contingents to represent the Institute in various national level competitions.